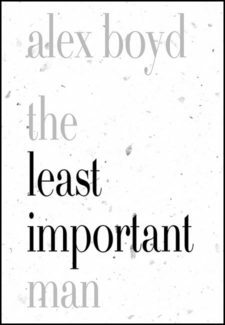 Alex Boyd writes poems, fiction, reviews and essays, and has published work in magazines and newspapers such as The Globe and Mail, Quill & Quire, and on websites such as Nthposition. His first book of poems Making Bones Walk (Luna Publications, 2007) won the Gerald Lampert Award. He edits the online poetry journal Northern Poetry Review, and recently helped establish Best Canadian Essays, co-editing the first two editions of selections from Canadian magazines.